Nishith Prakash is an assistant professor of economics on a joint position with the Department of Economics and the Human Rights Institute at the University of Connecticut, Storrs. He received his PhD in Economics from University of Houston, Texas and his Master's in Economics from Delhi School of Economics at University of Delhi. He previously held a visiting assistant professor positions at Ohio University in Athens, Ohio and Dartmouth College, Hanover, New Hampshire and was a post-doctoral research associate at Cornell University, NY from July 2010 till December 2011. Prof. Prakash’s primary research interests include development, labor, public policy, and health economics. One line of his work focuses on understanding the effects of affirmative action policies in India on labor market outcomes, child labor and poverty. His other work has examined topics such as the returns to English-language skills in India, effects of corruption, nutrition and child development in India, and evaluation of welfare and behavioral impacts of Index Based Livestock Insurance (IBLI) in Kenya. 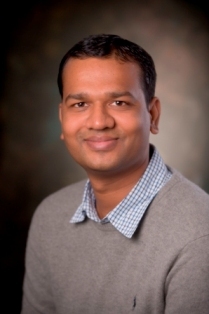 Prof. Prakash’s research uses experimental and quasi-experimental econometric techniques to obtain estimates with causal interpretations. He has experience conducting surveys in developing countries and working with large scale observational and administrative data sets. Nishith Prakash joined CReAM as an external fellow in October 2009.